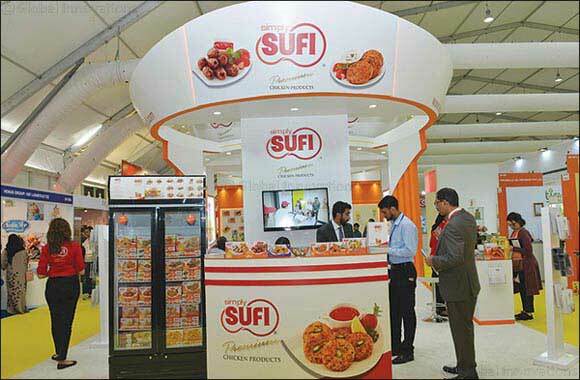 United Arab Emirates, Dubai, February 21st 2019: Simply Sufi, which is a part of The Sufi Group of Companies, displayed its ready to cook, instant products as well as cooking oils including sunflower, soybean and canola cooking oil at Gulf Food, Hall no.3 which is being held at the Dubai International Convention and Exhibition Centre. “The UAE market is witnessing a robust growth, and participating at this global forum offers us direct exposure to distributors, suppliers, retailers and even end consumers. Our objective in participating at this international event is to open up avenues for our products in South East Asia, Saudi Arabia, as well as also tap North America and other countries,” said a spokesperson from Simply Sufi. The Sufi Group of Companies was launched in Lahore, Pakistan, in 1952. Back then, the company started with the production of soaps, and gradually extended its portfolio to include a range of other products. Today, the Group is among the top five enterprises in Pakistan, successfully marketing a range that extends from homecare and detergents to edible oils, beverages and premium ready-to-cook and ready-to-eat foods. In the UAE, Simply Sufi offers a range of ready-to-cook and fully cooked chicken products. There is a choice of chicken burger patties, chicken tenders, chicken nuggets, chicken fries, chicken wings and more. The delicious ready-to-eat range comprises perennial favourites like chapli kebab, gola kebab, seekh kebab, badami kofta and shami kebab. Simply Sufi comes with a reputation of being healthy, nutritious and delicious. The range is 100 per cent halal chicken meat and is MSG free.